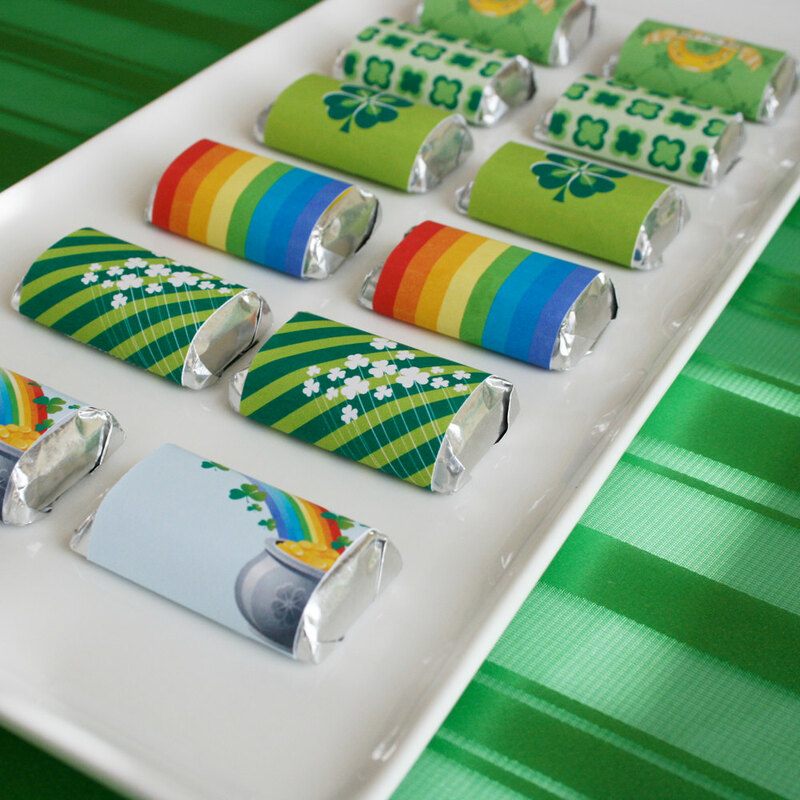 Sweetology: St Patrick's Day Tea Party with a SUGARLICIOUS GIVEAWAY! St Patrick's Day Tea Party with a SUGARLICIOUS GIVEAWAY! 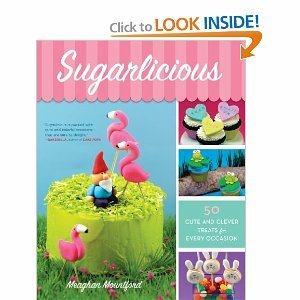 SUGARLICIOUS giveaway so read on friends. First up, let's start the tea party with some out of this world neat Shamrock Tea Sandwiches! jaw hit the floor, I was in LOVE! Please visit Will Cook For Smiles and tell her how great this is! I am bringing these St Patty's Cupcakes to tea this week. I used my edible printer and backed the image to fondant. ..........easy, whimsical and so fun. I downloaded the images from Hopscotch Studios. for Sophia's Birthday Party this weekend. I thought this set was amazing and quite a DEAL! Get them for yourself right Here! 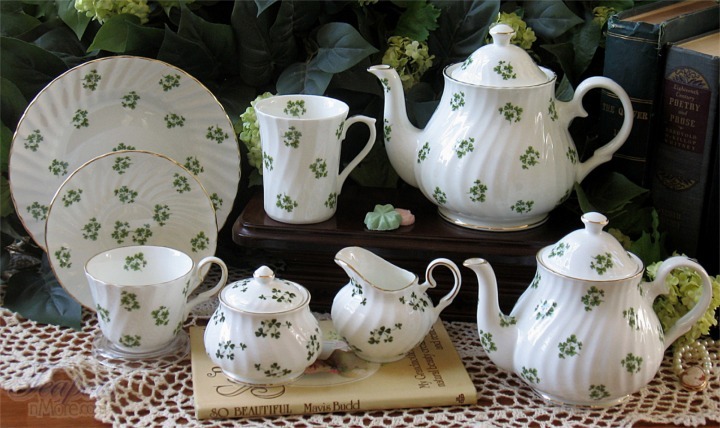 fun Shamrock Tea Set from Tea Pots & More Online Store. St Patty's Marshmallows this weekend using edible food writers. That is a purple butterfly sticker on her face to match her purple coat!! It is FULL of great and easy to do sweet ideas. and LOVES to use edible writers on marshies!! doing these easy, quick and fun edible crafts. Just leave a comment if you want to enter. in a separate comment for an additional entry! Please leave your email if you are a no-reply blogger. it on my Facebook Page! The cupcakes look perfect! I love all the printables you decorated with too! Everything looks perfect for St. Patricks Day! Sophia looks like she had a blast too decorating those marshmallows. 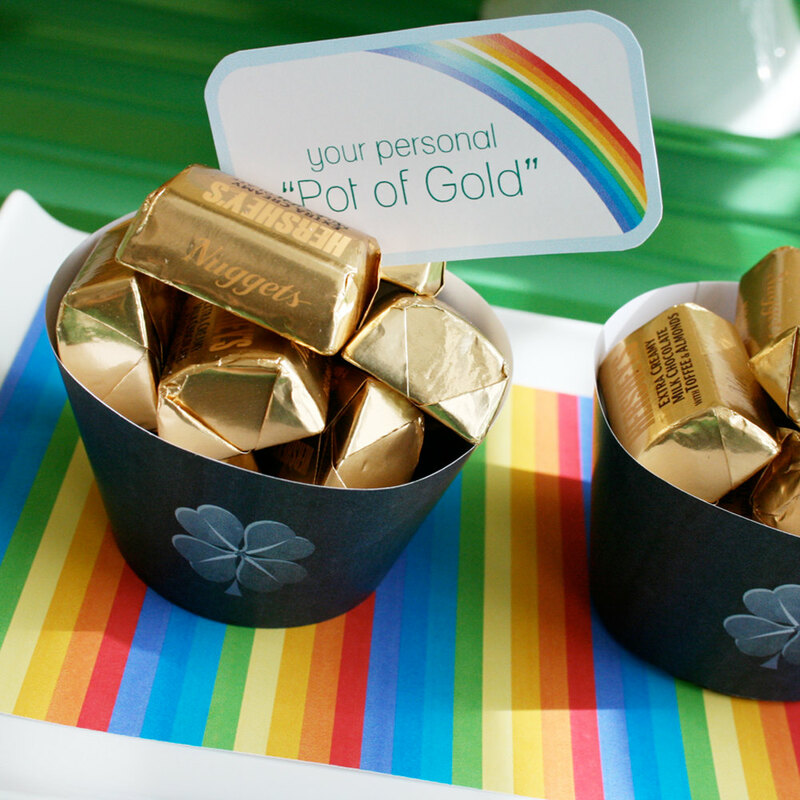 Thanks for hosting and also for sharing our St. Patrick's Party Button :) Have a sweet week! Such cute ideas! Everything you post inspires me to do more creative things with food! Following on facebook! Huge fan! Oh what a darling post- every pic you shared was full of festive fun! 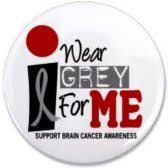 Please enter me for your giveaway- what a generous awesome prize! Love your little helper with the marshies. Makes me want to make some hot chocolate right now! Trisha, you amaze me, truly! Every week you have something super to share with us and you make it so much fun to visit; thank you! Those shamrock tea sandwiches are adorable and so are your cupcakes! Thanks for sharing and have a fabulous week, my friend. So much to see, link to and drool over! I love the sandwiches you made and the cupcakes look yummy. Tell Miss Sophia her marshmallows are a work of art and are perfect for St. Paddy's day. An early happy birthday too! So many great ideas! Just lovely! There are so many sweet ideas here - and i love the quick links also! THANK YOU! I also follow you onb facebook and twitter! What a cutie-pie. Count me in please. I love cucumber sandwiches!! Why is it that I always forget how much I love them until I see them!!! I love all those sweet touches from the party! Love the cupcakes too. Thanks for hosting! All the goodies for the big bday are great. I soooo want that book!! Thanks for hosting another GREAT party! I sooooo want that book! Thanks again for hosting a GREAT party! 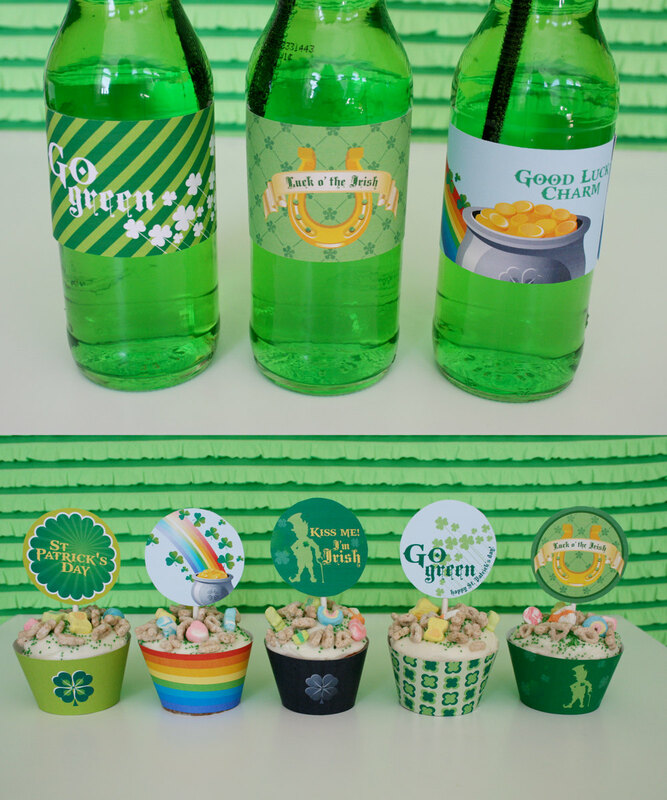 The Shamrock Tea Sandwiches and the St. Patrick cupcakes are wonderful - I just love them! Cute ideas! Thanks for hosting. Hope you like my green cupcakes...made with SPINACH! Wow, has a leprechan taken up residence in your house? So much Irish cuteness! Love the ideas! !Following on facebook. Thanks for hosting Trisha! Those sandwiches are absolutely creative!! Thank you for sharing all the fun tips especially the edible ink decorated marshmallows. CONGRATULATIONS Sophia! Your book is going to help create many memories for mommies, grandmothers and aunties and the young blessings in their lives. Fun, fun things always popping up over here! You are such a creative person! So much fun! I am really looking forward to St. Patrick's Day and Easter so I can make some fun things as well! Thanks so much for hosting! I was curious what printer you got to use for your edible images? I'm thinking about getting one, but wasn't sure which one to get. thinking i luv the FuN you had together! plus the creativity of course :) enjoy your St Patrick's celebrations and if you have time, stop by for TeaTime in Killarney ! FB liked you too ! I would love to win this sweet giveaway. Hi Trish! Oh, the incredible edibles you dream up! What wonders come forth from your kitchen. But, do tell - this week - did you have a wee bit of help from "the little people" with such shamrock sweetness? I would love to win this cookbook! Those are the cutest marshmallows! My daughter would love it too!!!!! I would love the Sugarlicious giveaway. Love your blog and those cupcakes make me hungry! Everything looks WONDERFUL. I need to make those sandwiches! Please tell Sophia "Happy Birthday"! Thank you for hosting such a lovely tea party. First of all, your Sophia is ah-dorable!! Second of all... Marshies... Too cute for words! Your shamrock sandwiches are amazing and so creative. Finally, I love your teapot! PS - I am following you on FB. Loving your St Paddy's treats. Thanks. I would love to enter the giveaway. Loving your St Paddy treats. Thanks. Would love to enter the giveaway.